Commercial mowing comes home. 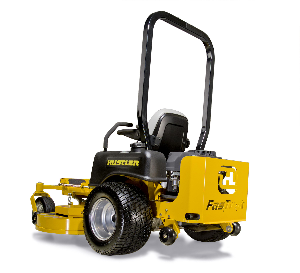 The FasTrak™ 48/54 is the ultimate residential mower. It is built to commercial standards of durability and performance. The frame, deck, spindles, and castor wheels are the toughest in the class. It delivers a beautiful cut and handles like a dream with its SmoothTrak™ steering. This ain’t your neighbor’s mower… though he’ll wish it were. 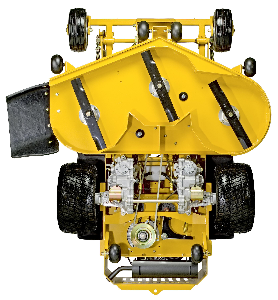 The Hustler FasTrak™ has all the strength, durability and power needed for commercial use. As proof, we offer a remarkable 4-year limited residential warranty plus limited lifetime warranties on the frame and leading edge of the deck. That’s a serious mower. But we designed the FasTrak with the homeowner in mind. Even though the frame is forged of heavy-duty steel, the zero-radius SmoothTrak™ steering is easy to use and will edge your flower bed with the finesse of a gardener. 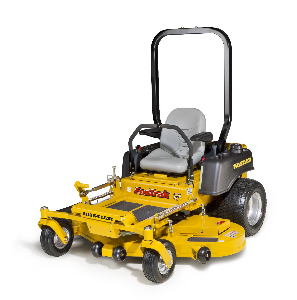 Its power makes quick work of the most expansive lawns. Yet it’s comfy enough for the most discriminating operator. Once you drive a FasTrak, mowing will never be the same.